The latest European Rewilding Network webinar, held in October, saw members from nine European countries come together online to discuss and learn about best practice in the restoration of natural river dynamics. European Rewilding Network members came together to discuss the restoration and rewilding of river systems. Rewilding Europe regularly organises webinars for members of the European Rewilding Network (ERN) to discuss rewilding related topics and share insight and experience. The network currently boasts 54 members from 25 countries across Europe. This latest webinar saw members come together to discuss the restoration and rewilding of river systems. Two network member organisations from Latvia and Belgium presented their successful restoration of river dynamics. Andis Liepa from Ķemeri National Park in Latvia offered fascinating insight into work carried out on the Rivers Lielupe and Slampe. The latter had previously been channelled and the surrounding ground drained for agriculture. The idea of naturalising the Slampe River was first conceived in 1998, inspired by similar projects in Western Europe. In 2001, plans for river restoration work were included in the Kemeri National Park’s project application to the European Union’s LIFE Programme. The project was approved and implementation began in 2002. 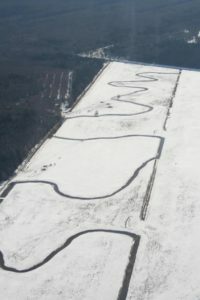 By creating meanders the length of the channelised section of the Slampe River was increased from just over 2 km to nearly 5 km. Restoring the channelised river section meant creating meanders and a shallower water depth. The length of the section had to be increased from just over 2 km to nearly 5 km, allowing the water level to rise by around a metre during springtime flooding. Several sections of new riverbed were excavated, and new riverbed added to the existing channel in five locations. Several sections of channel also needed to be blocked. This work represented Latvia’s first re-meandering project, and was soon followed by work in the Dviete Valley, a 5000-hectare Natura 2000 site that is also an ERN member. 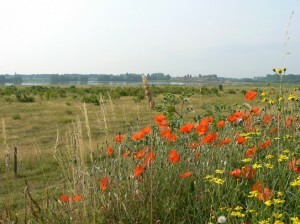 The second example of best practice came from the Meuse Valley River Park in Belgium. The River Meuse flows 935 km from its source in the Plateau de Langres in France to its mouth in Rotterdam in the Netherlands. Project leader Lambert Schoenmaekers explained how a 45 km section of the Meuse was restored after the river had previously been dyked. The aim was to regain hydrological, morphological and ecological processes by widening the river bed and lowering surrounding floodplains, in such way that the river is now able to reshape itself naturally through these processes. A 45 km section of the Meuse River was restored after the river had previously been dyked. In this case high water safety works were essential to protect local residents. After adjustment of the river bed by enlargement, reduction and gravel extraction, wild river dynamics were allowed to play their part. Natural erosion and sedimentation and the spontaneous development of vegetation was accompanied by the return of wildlife, while reintroduced herbivores now need no supplementary feeding due to the increased availability of natural grazing. 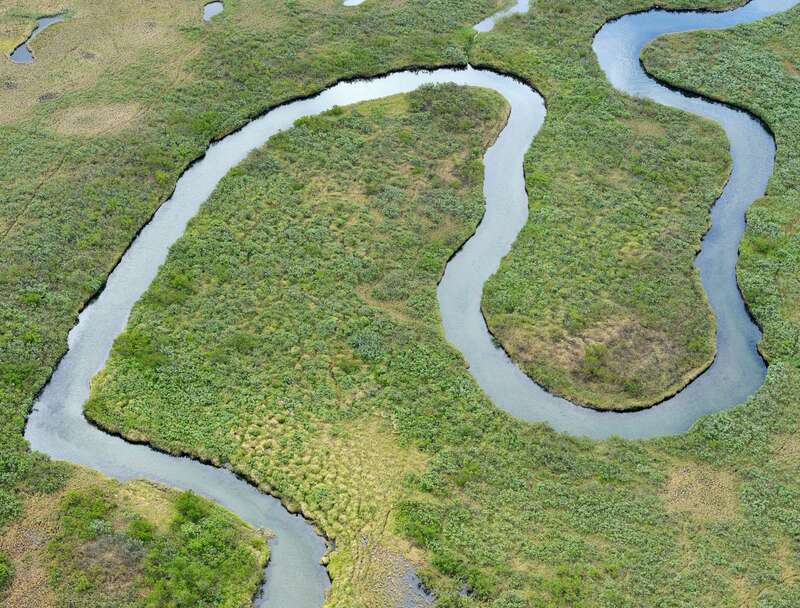 “With the river now flowing freely, this project has proven that ecological river recovery and flood protection activities can work hand in hand,” says Schoenmaekers. 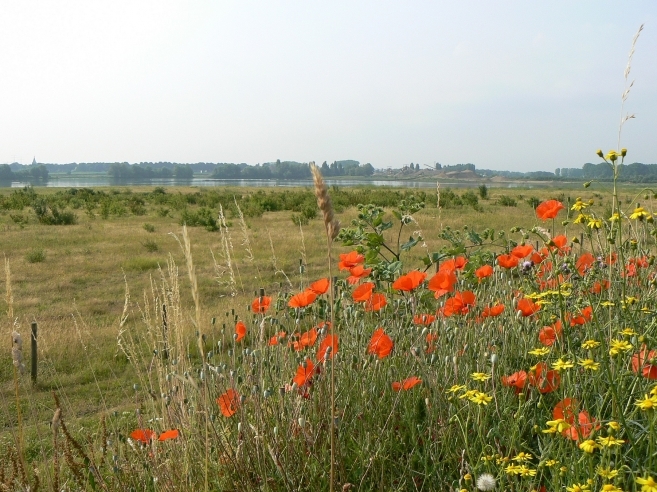 The cross-border Meuse Valley River Park in Belgium and the Netherlands is one of Europe’s biggest and most successful river recovery projects. It also represents the only section of the Meuse in western Europe where natural hydrological and ecological processes are allowed a free rein. During the discussion it became clear that other members face similar challenges in different rewilding settings. Lambert emphasized that large restoration projects are often highly complex, with much potential for stakeholder conflict. He spoke about what it takes to preempt and mitigate these conflicts, advising webinar participants to aim for the most impactful restoration solution, and to lay the groundwork for success in the project startup phase by taking into consideration the position of every stakeholder group. The ERN operates on a stronger together philosophy, promoting rewilding as a conservation approach. Through the year, members meet regularly via webinars to share knowledge, insight and examples of best practice. The presentations from webinars are stored on the recently launched ERN Forum, a real-time platform for discussions and exchange between members. Rewilding Europe extends a warm welcome to all European rewilding initiatives who are interested in joining the ERN. Information on applying for membership can be found here.